Although most physicians are compassionate caregivers committed to providing evidence-based care, a small minority veer off the beaten path. 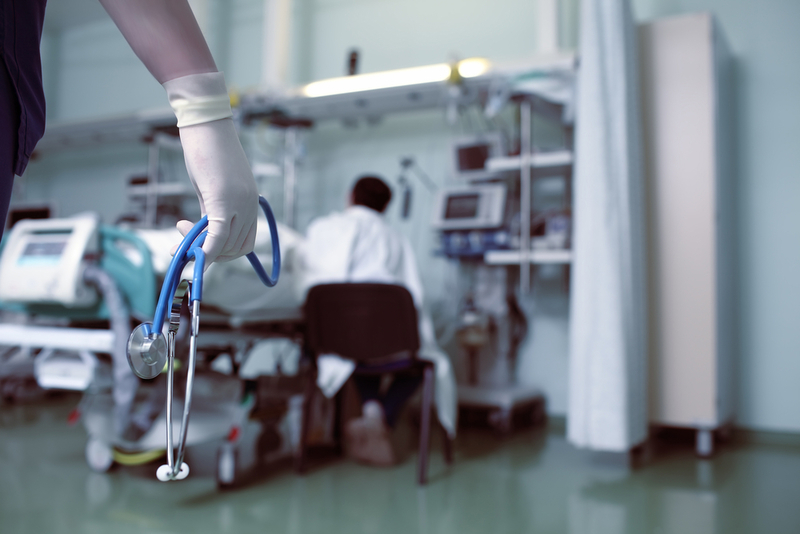 With an oath to “first, do no harm,” physicians are often seen as being above contempt, and so are the last to be considered capable of criminal acts, which seem to shock everyone when discovered.Keep in mind that physicians are people, too. And like all people, they can be prone to greed, jealousy, and mental illness. Unfortunately, in their hands, a prescription pad, medical instrument, or surgical suite can just as easily be turned into a weapon. During the past two centuries, there have been countless documented cases of physicians performing criminal acts. Typically, these acts have been perpetrated against wives, relatives, and patients. In homicides committed by physicians, the murder weapon of choice is usually poison or drugs. H.H. Holmes (birth name Herman Mudgett) was born in 1861 and is recognized as America’s first serial killer. Holmes was a confident man with a signature look that included a bowler hat, thick moustache, and waistcoat. He murdered innocent people to steal their money and cash in on their life insurance. He was born into a wealthy family in New Hampshire and, at a young age, started performing surgery on animals. Holmes may have also murdered a childhood playmate, according to some accounts of his life. Holmes became a pharmacist in Chicago after barely graduating from the University of Michigan Medical School, Ann Arbor, MI. While living in Chicago, Holmes built a “Murder Castle,” with concealed secret passages, trapdoors, soundproof rooms, locked doors, and gas jets to suffocate his victims. He kept a kiln to incinerate his victims, while keeping some to sell as cadavers to local medical schools. During the World’s Colombian Exhibition in Chicago in 1893, Holmes lured female victims from all over the world by first becoming engaged to them, stealing their life savings, and finally, killing them in his home. Holmes was finally caught after a career criminal he conspired with alerted the authorities. He confessed to 27 murders, although he later increased the number to more than 130, and was sentenced to death in 1894. Experts believe that he killed well over 200 people. Before his death, he ended up selling his life story to the Hearst Corporation for $10,000. In 2014, Farid Fata, a Detroit-area hematologist-oncologist, pleaded guilty to giving unnecessary chemotherapy treatments to at least 533 patients—including patients without any signs of cancer. He received a 45-year sentence. At his initial trial, Fata claimed that his actions were rooted in greed, and he stole $17 million through healthcare fraud, money laundering and a kickback conspiracy. Fata was ordered to pay 43 claimants a total of $8 million. Nicknamed the “angel of death,” Josef Mengele was born in Germany in 1911 to a wealthy family who manufactured farming tools. After receiving a PhD in physical anthropology and a doctoral degree in genetic medicine, he joined the Nazi party in 1937. In 1938, he received a medical degree and joined the Waffen-SS. In 1943, Mengele was transferred to Auschwitz, where he—along with other physicians—performed “selections” in which Jews and other persecuted minorities were sent to the gas chambers. Mengele was a staunch advocate for Nazi racial theory and performed a variety of ghastly medical experiments on Jews and gypsies at Auschwitz. After the war, Mengele evaded capture until his death in Bertioga, Brazil, in 1979. He died of a stroke while swimming at a vacation resort. It’s hard to believe that Bashar al-Assad was once a reserved ophthalmologist who trained in England. After the death of his brother in 1994, al-Assad was turned to a life of politics by his father, Hafez al-Assad, who was president of Syria from 1971-2000. Hafez quickly moved to have Bashar succeed him as president of Syria. Since then, the younger al-Assad’s rule has been brutal, and he routinely kills any adversaries and dissidents. It is said that he has supposedly also helped fund Hamas, Hezbollah, and Islamic Jihad, although he denies doing so. Emboldened by the regime changes experienced by other Arab countries during the Arab Spring, including those in Tunisia and Egypt, rebel groups in Syria tried to depose al-Assad. So began, in 2011, the long, bloody civil war in which al-Assad fought to retain power. During the civil war, he used chemical weapons on his own people. To date, nearly 500,000 Syrians have died as a result, and millions have fled the country, causing a humanitarian crisis. Both Presidents Obama and Trump, as well as British Prime Minister David Cameron, have denounced al-Assad’s reign of terror. However, al-Assad is backed by both Russia and Iran. Experts believe that it’s only a matter of time before al-Assad will be tried as a war criminal. The extensive sexual abuse perpetrated by Larry Nasser made worldwide headlines. Nasser was the team sports physician for USA Gymnastics and a physician at Michigan State University, East Lansing, MI. In February 2014, Nasser was sentenced to 40-125 years in prison for sexual assault charges. During the trial, 156 women made statements detailing his crimes. Subsequently, Michigan State University agreed to pay $500 million in settlements to hundreds of sexual abuse victims. The countless crimes committed by Nasser shook both the USA Gymnastics organization and Michigan State University to the core, and many people lost their jobs for not taking previous action against Nasser. For a deep dive into the sick world of Larry Nasser, check out the NPR podcast Believed. In the 1980s, Cecil B. Jacobson was a physician who practiced infertility medicine in Utah and impregnated his patients with his own sperm. He ended up fathering more than 70 children. He also lied to some of his patients and told them that they were pregnant when they were not. For his very disturbing crimes, Jacobson was convicted in 1992 of 52 counts of fraud and perjury for lying to his patients and only received a sentence of 5 years in prison. His crimes became media fodder and were parodied on Saturday Night Live, his story was also the basis of a made-for-TV movie starring Melissa Gilbert. Jacobson is now in his 80s, living in Utah. Walter Jackson Freeman was a neurologist famous for publicly advocating the practice of lobotomy. He received a medical degree from the University of Pennsylvania, Philadelphia, PA, and neurology training in Europe. He was appointed the chair of the neurology department at George Washington University, Washington, DC, in 1926, where he also received a PhD. During the course of his career, he performed 3,500 lobotomies, with an estimated 490 individuals dying secondary to the procedure. Freeman never spent much time explaining the practice of lobotomy, and although his intentions may have been to help people with psychosis in a time predating antipsychotic medications, he was discredited due to all the damage and suffering he caused. Interestingly, Freeman’s work did contribute to the burgeoning field of neurosurgery. Harold Shipman was a British serial killer who—between 1970-1998—murdered more than 200 patients. He was a general practitioner who was ostensibly well-liked by his patients. According to court records, Shipman liked to exert control over life and death and altered patient records to cover his murders. He also stole from his patients by having them bequeath him their estates. Shipman overdosed his patients with morphine, and he himself had a raging drug dependence on painkillers. He received multiple life sentences for his heinous crimes and hanged himself in 2004. Christopher Duntsch was a well-pedigreed neurosurgeon who, between 2011 and 2013, left 33 of 37 patients he operated on with permanent disabilities. Duntsch was a college football player who started practicing in his 40s. He was trained at the University of Tennessee Health Science Center, and was originally intent on a career in the biotech industry. His research during residency focused on the extraction of brain cells from cultures versus extraction from the human body for drug research. He brought in millions of dollars in grants, and his patents led to the creation of two companies, one of which is still in existence today—albeit fully distanced from Duntsch. During the course of his residency, his attending physicians let him concentrate on research, and he performed far fewer surgeries than the average neurosurgery resident. What is more shocking than the fact that Duntsch butchered so many lives, is that hospitals still employed him. Because neurosurgeons bring in millions in revenue for hospitals, there were a string of Houston hospitals who ended up giving him hospital privileges. When it became apparent that Duntsch was a serious danger to his patients, he was allowed to resign without being fired. Duntsch was convicted for malicious intent during surgery, and sentenced to life in prison. For the story of Duntsch, his personal life, and his crimes check out the podcast Dr. Death. William Husel is the 43-year-old intensive care physician trained at the Cleveland Clinic, Cleveland, OH, who is accused of intentionally overdosing scores of patients. He stands accused of prescribing fatal doses of fentany to 27 near-death patients under his care at Mount Carmel Health System, Columbus, OH, without their families’ knowledge. To date, four wrongful death lawsuits have been brought against him. While in college at Wheeling Jesuit University, Husel was involved in a number of car break-ins and built a pipe bomb that exploded on campus. While at the Cleveland Clinic, however, Husel was considered an “excellent” resident. It’s unclear how Husel’s habitual overdosing was not caught by safeguards in place, as well as by other hospital staff.